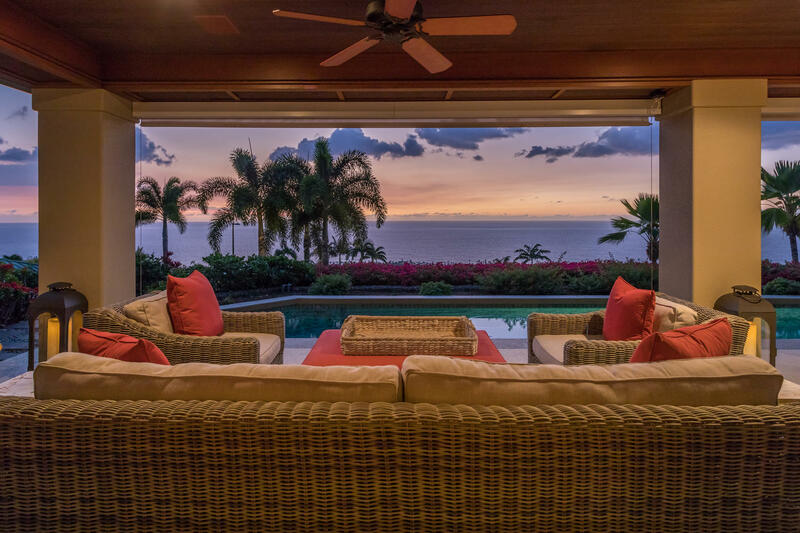 Here is your chance to call a luminous ocean-view villa "home" for a while. 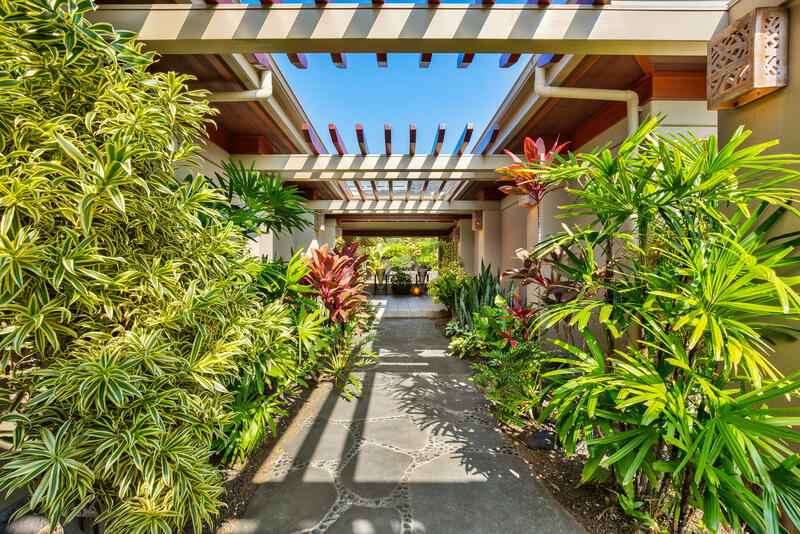 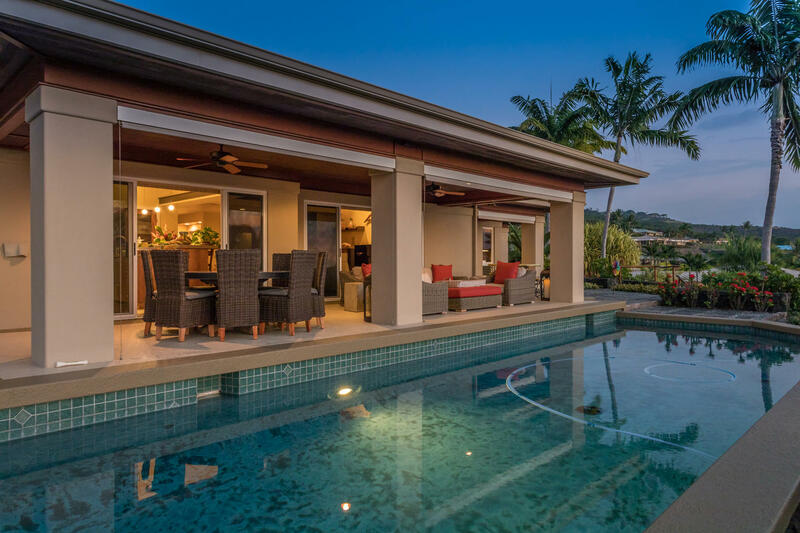 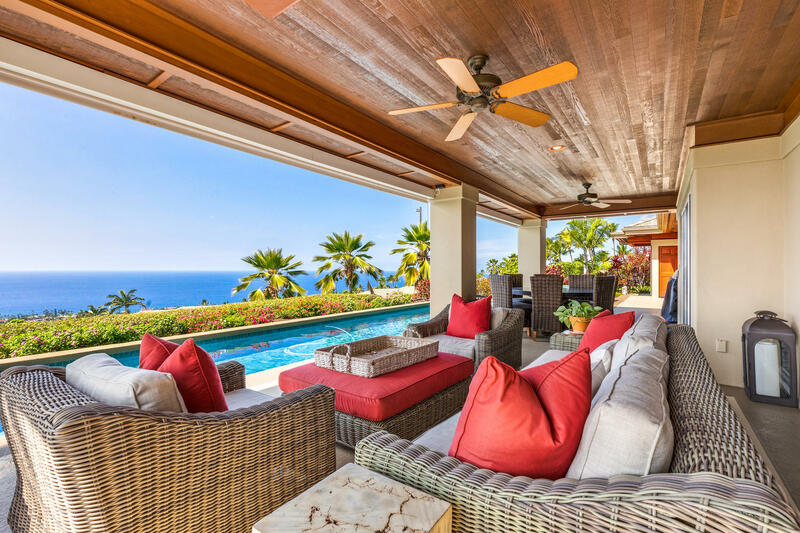 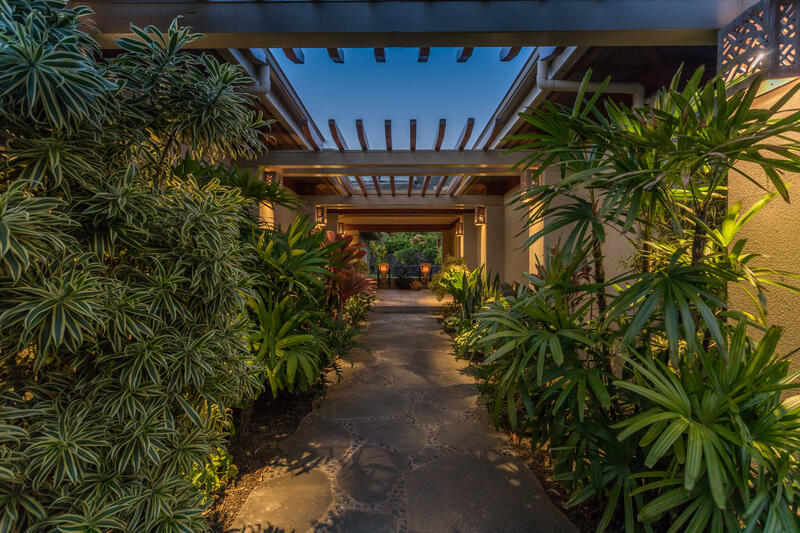 This Bayview Estates beauty is exquisite down to the details, and it's clear the moment you arrive at the palm-shaded, landscaped courtyard and take in the glittering view of Keauhou Bay. 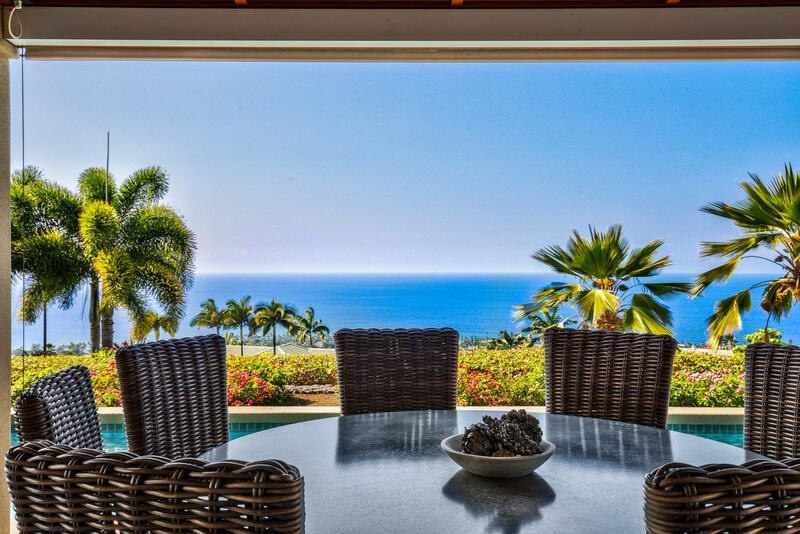 The Pacific views continue both inside and out—the dynamic backdrop of your exceptional getaway. 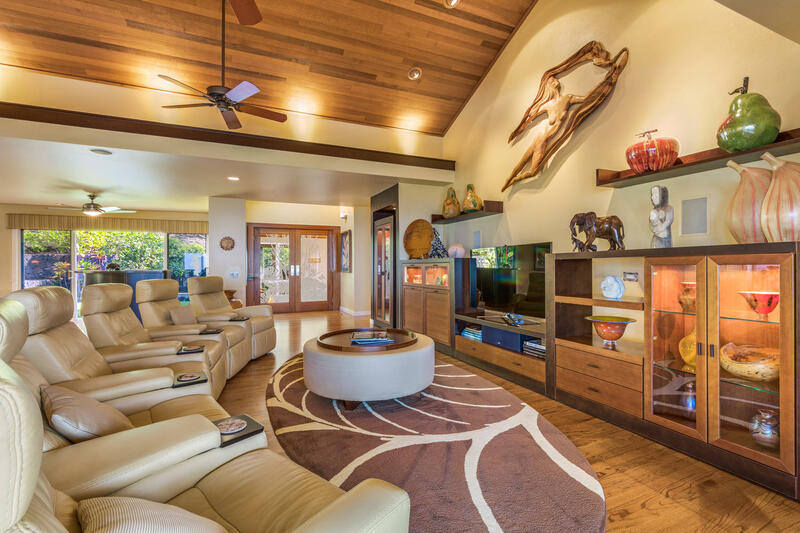 After a floor-to-ceiling remodel in 2010, this custom villa is an entertainer's dream, complete with a 960 sq. 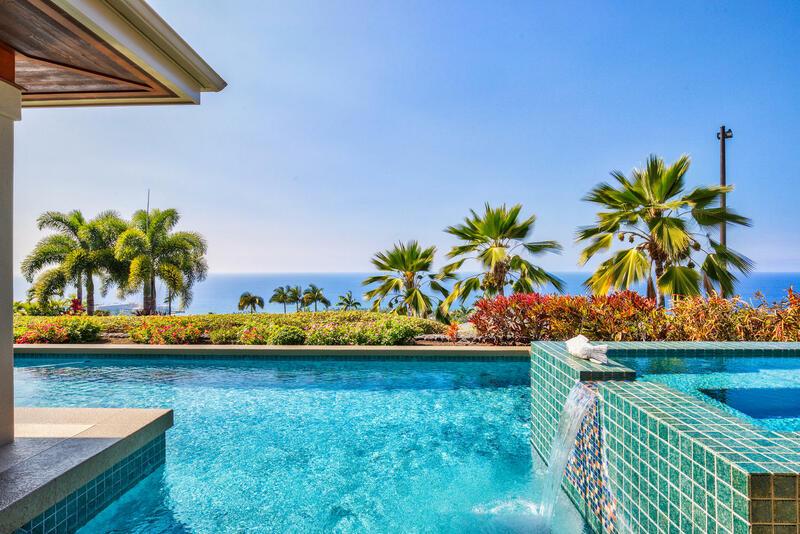 ft. lanai elevated above the sea, a heated pool, and hot tub that is ideally positioned for sunset. 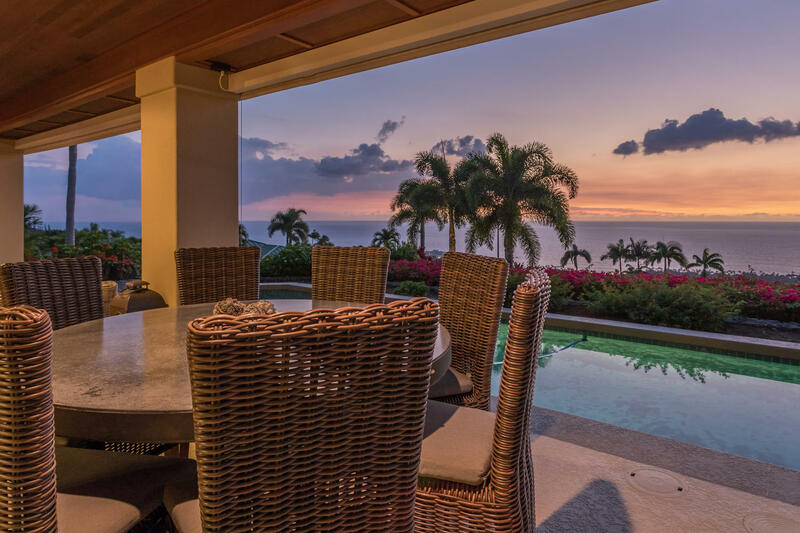 Gather your favorite people for an ocean-view dinner party on the lanai and after-dinner conversation on the lanai's plush outdoor furniture. 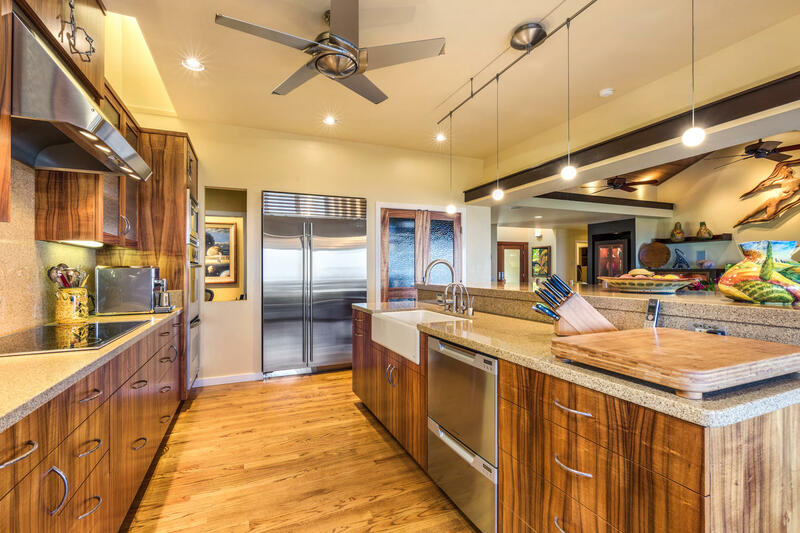 The fully equipped dream kitchen is on-hand to help with your culinary creations, with Kodiak quartz counters, high-end stainless double ovens, and a built-in fridge. 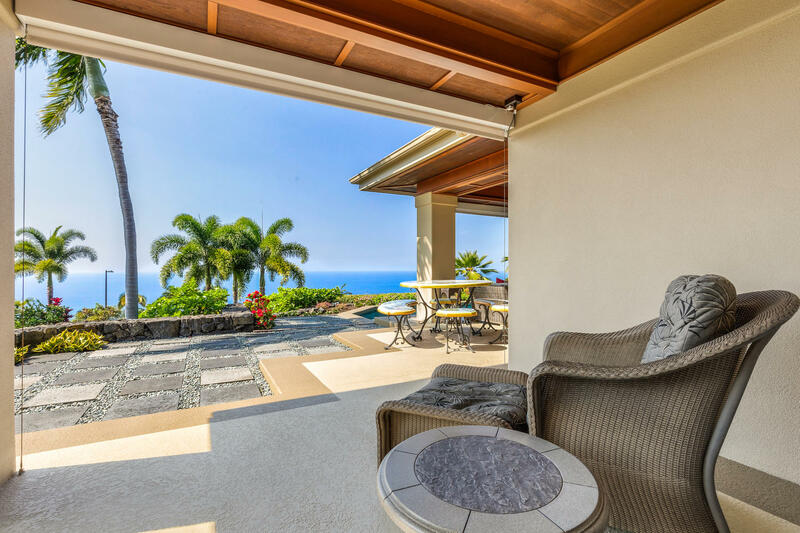 While you're on the lanai from November through May, keep an eye on the horizon: you may spot migrating humpback whales passing through. 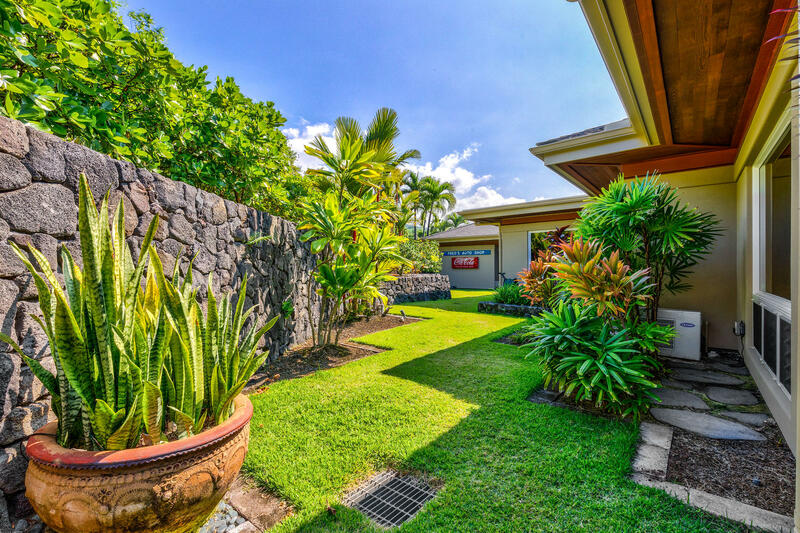 This home is best-suited for rentals of 31 days or more. 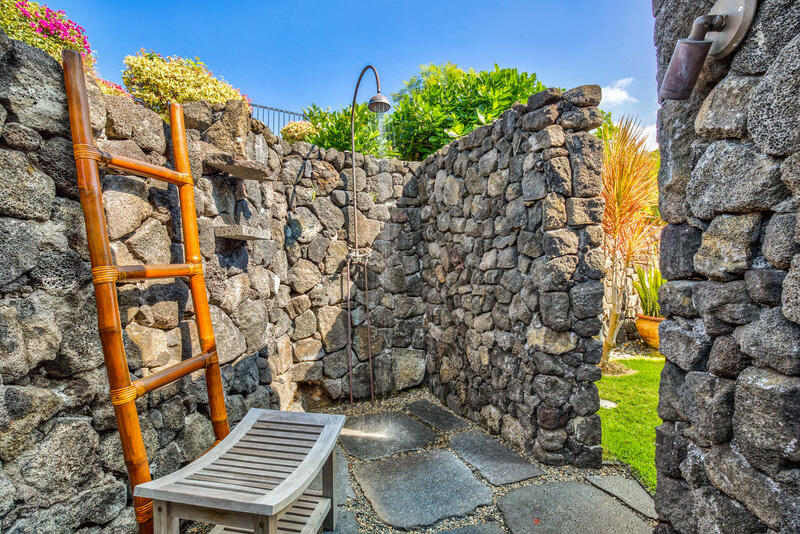 Please inquire for monthly rates. 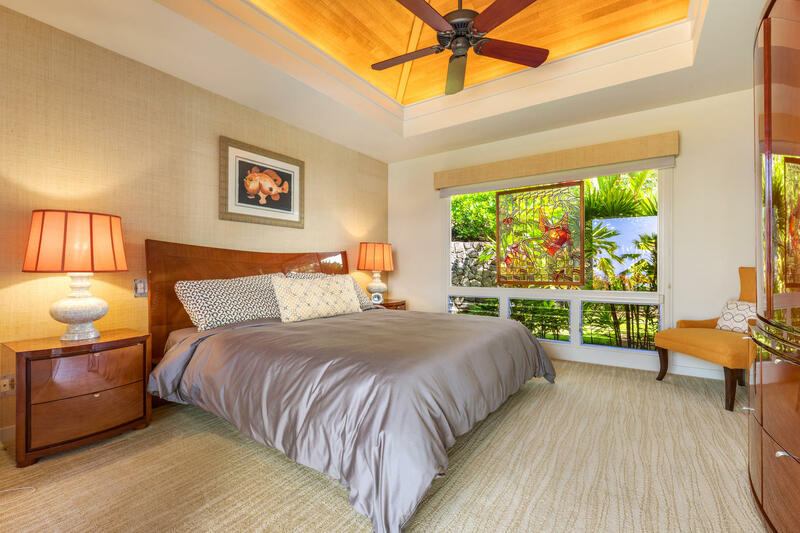 With two master suites and two exterior guest suites, everyone will find a comfortable and private place to retreat at the end of the day. 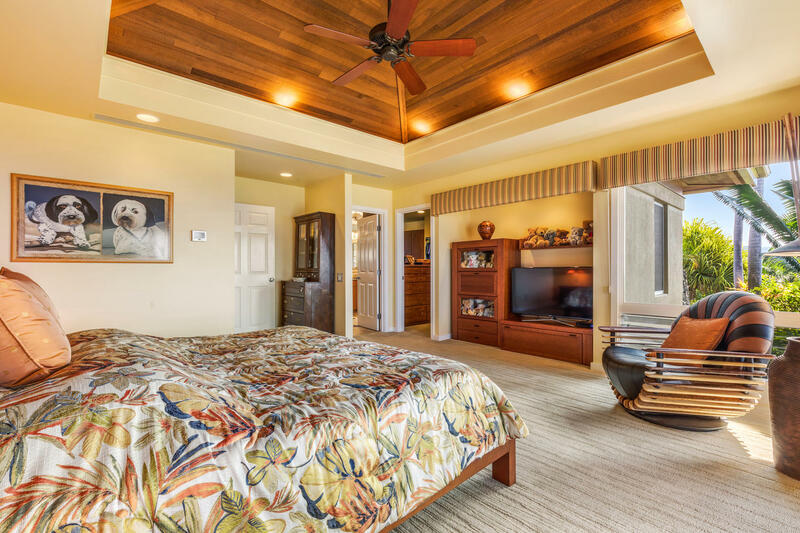 In the first master suite, wake up in a king-size bed under gorgeous wood-coffered ceilings. 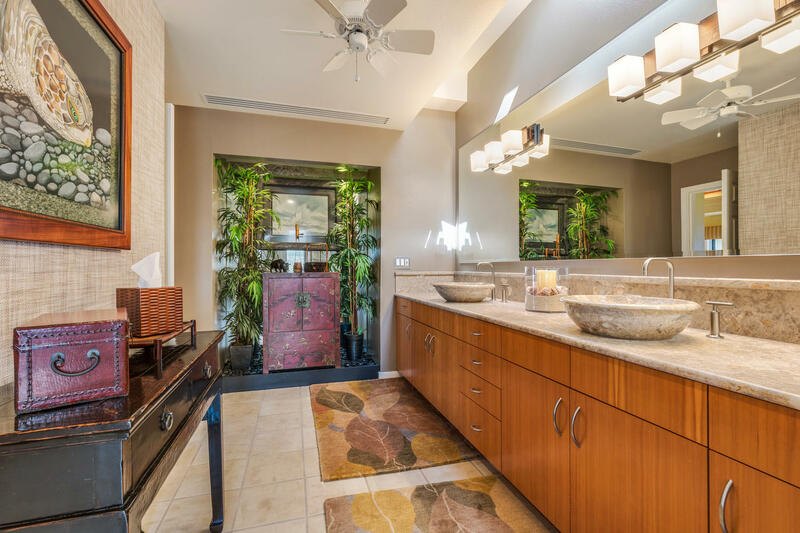 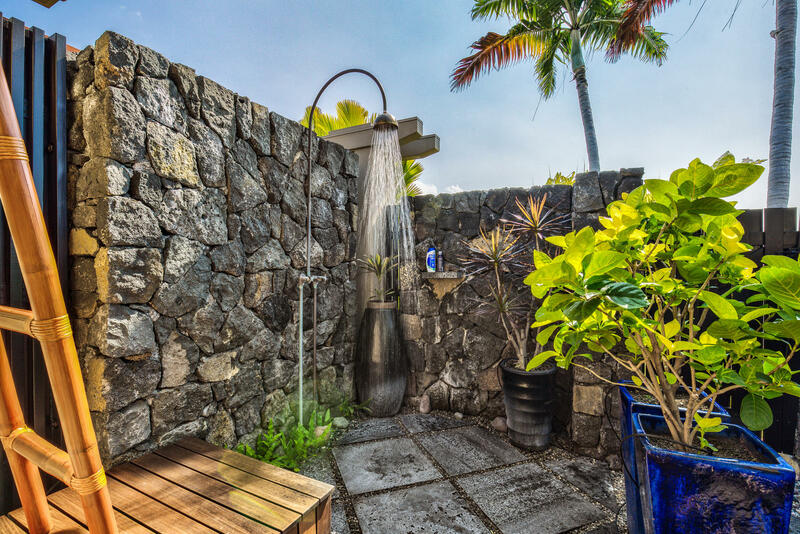 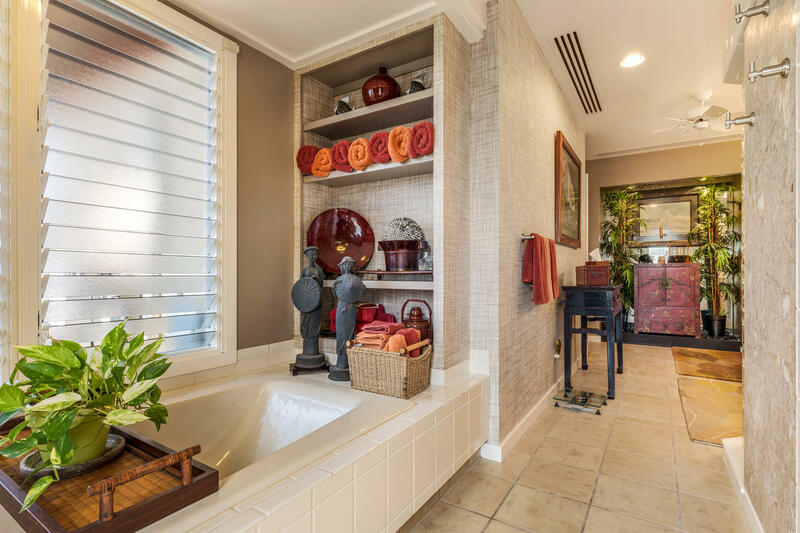 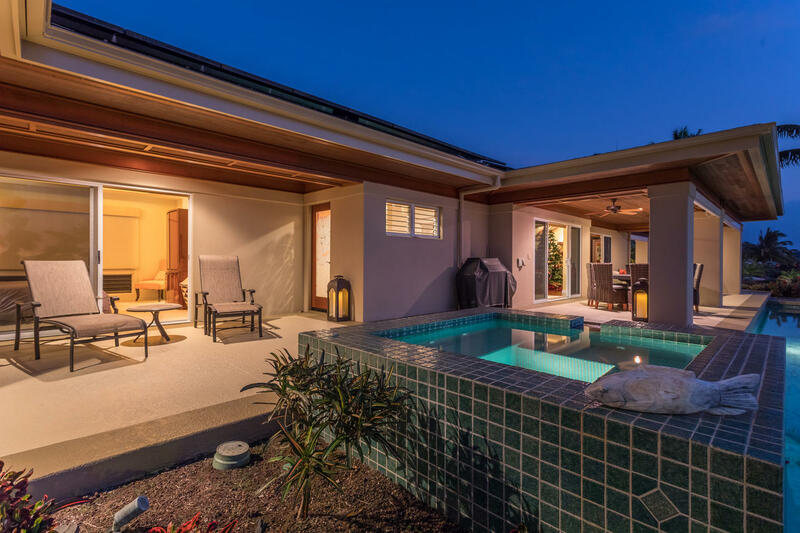 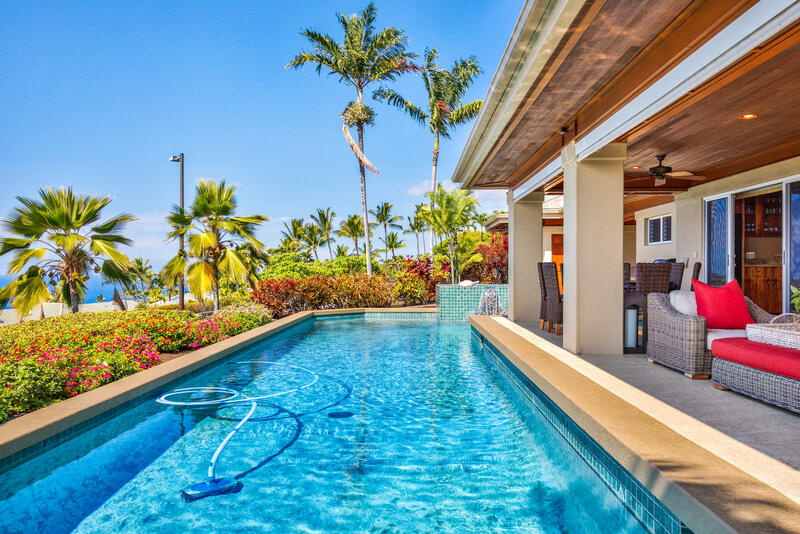 Slide open the glass doors to the lanai and the pool and take a morning dip, then freshen up in a luxurious en-suite bath with both indoor and outdoor showers, as well as a deep soaking tub. 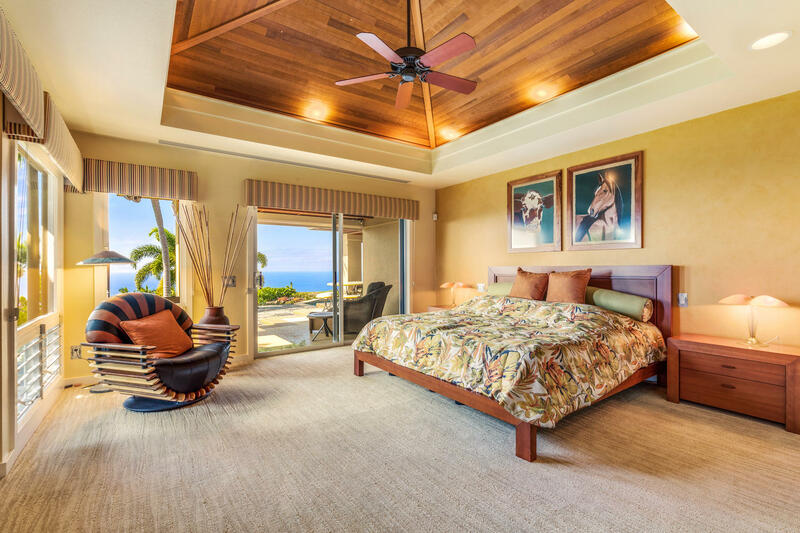 The junior master suite indulges with a king bed, zoned A/C, and ocean and courtyard views to wake up to in the morning. 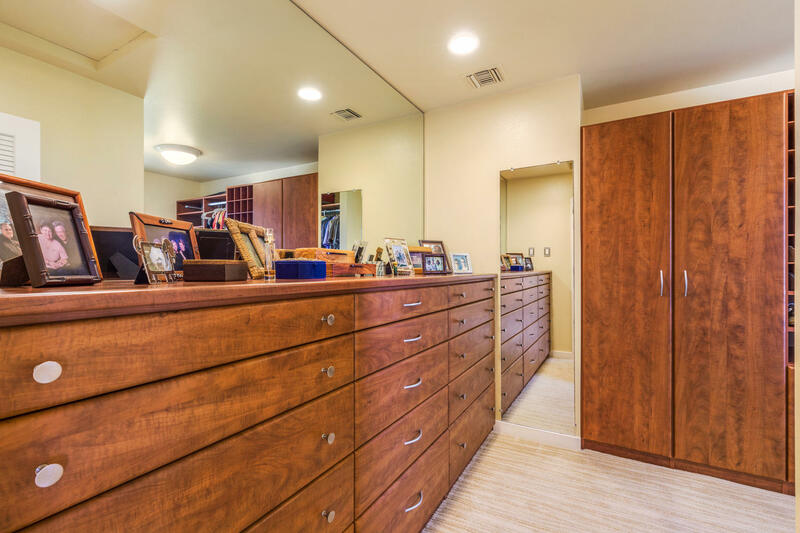 Make yourself at home and hang up your clothes in the huge walk-in closet. 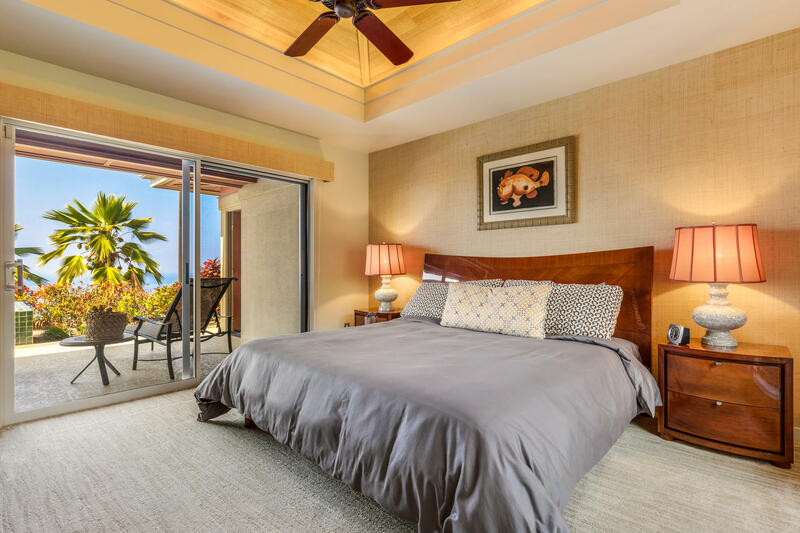 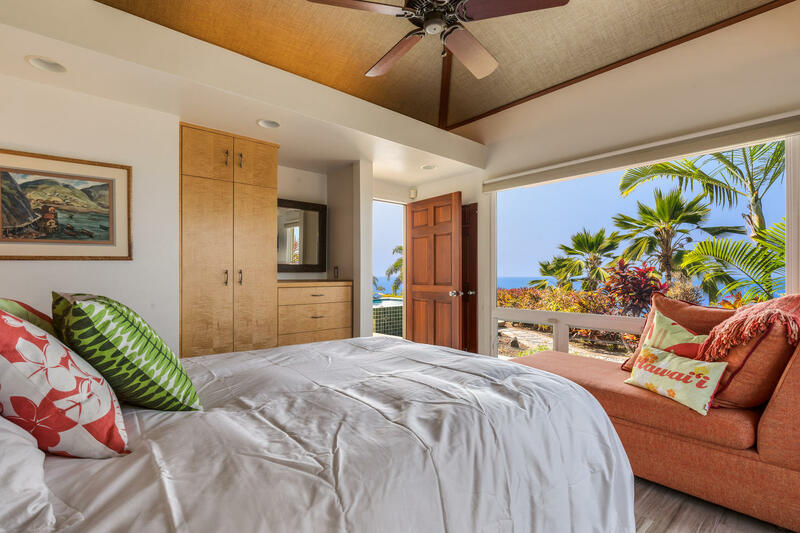 The sunlit third bedroom features ocean views and private access to the pool and the second outdoor shower, and the fourth bedroom with 2 twins has an en-suite half bath. 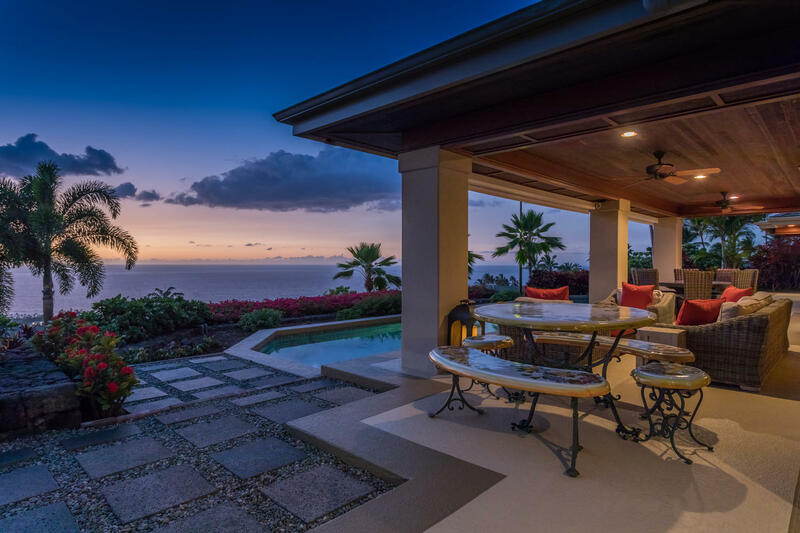 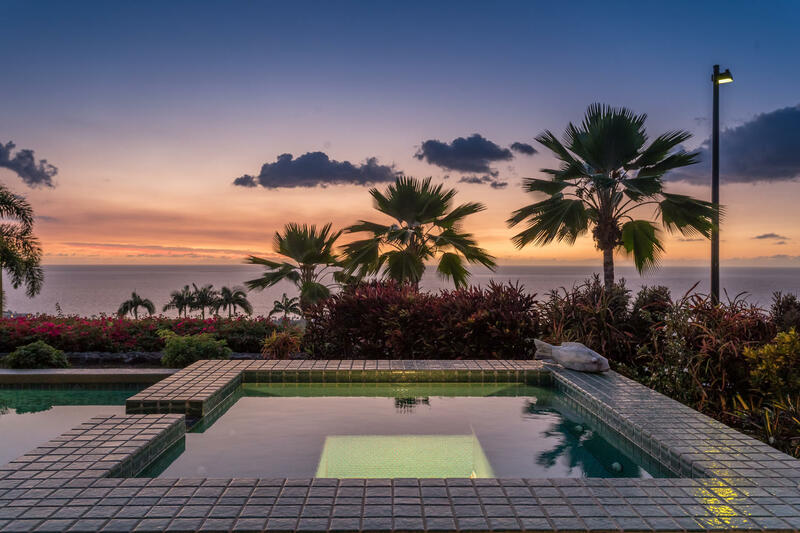 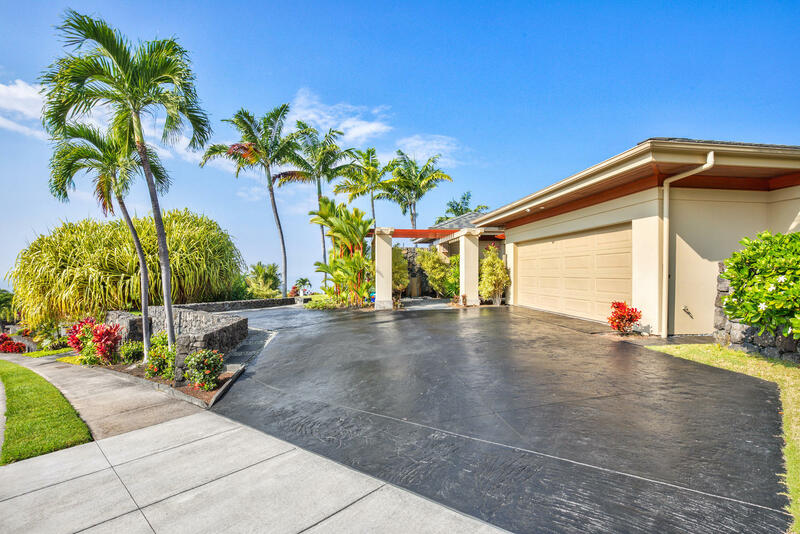 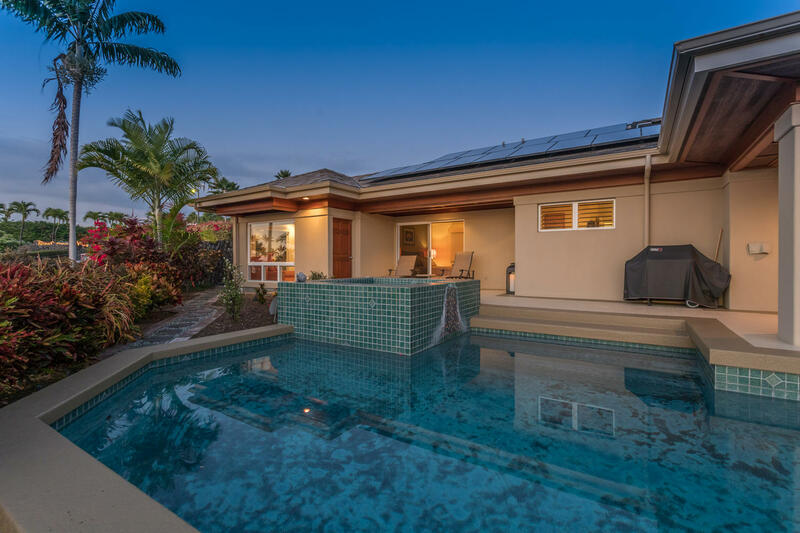 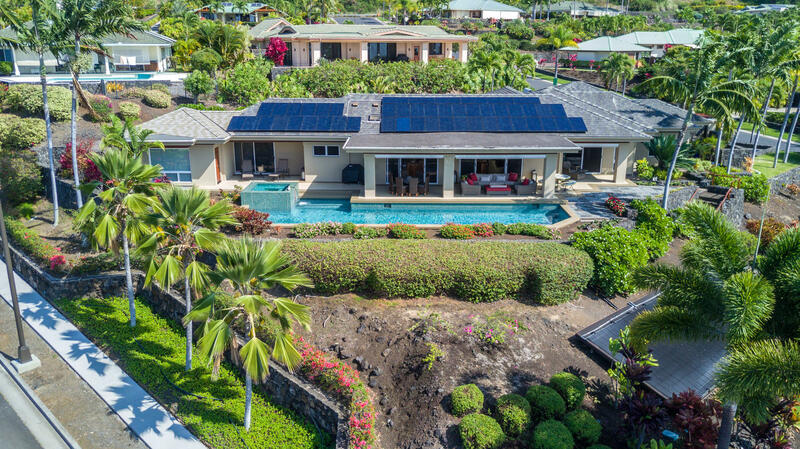 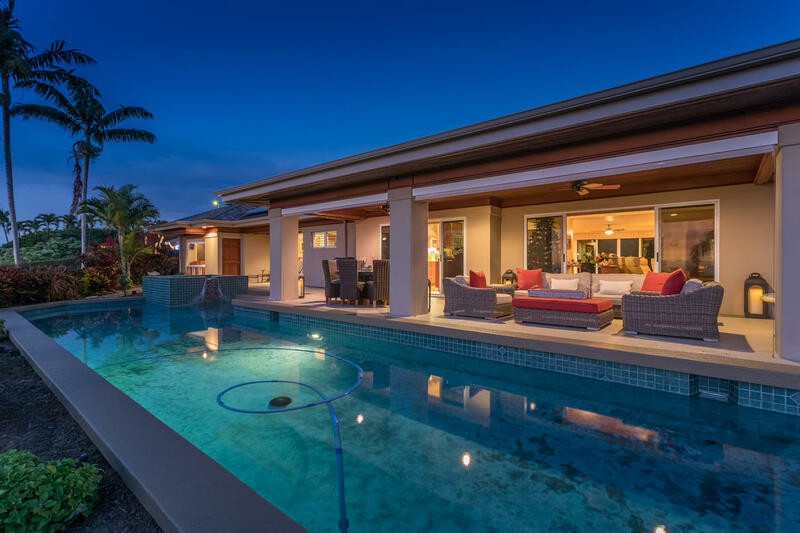 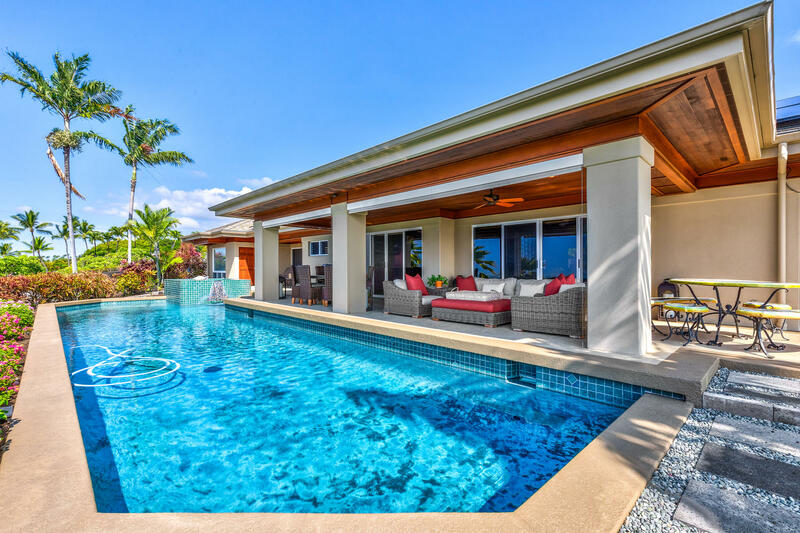 One of Kailua-Kona's most coveted residential communities, Bayview Estates features gated entry, Kona coastline views and walkable, lushly landscaped streets. 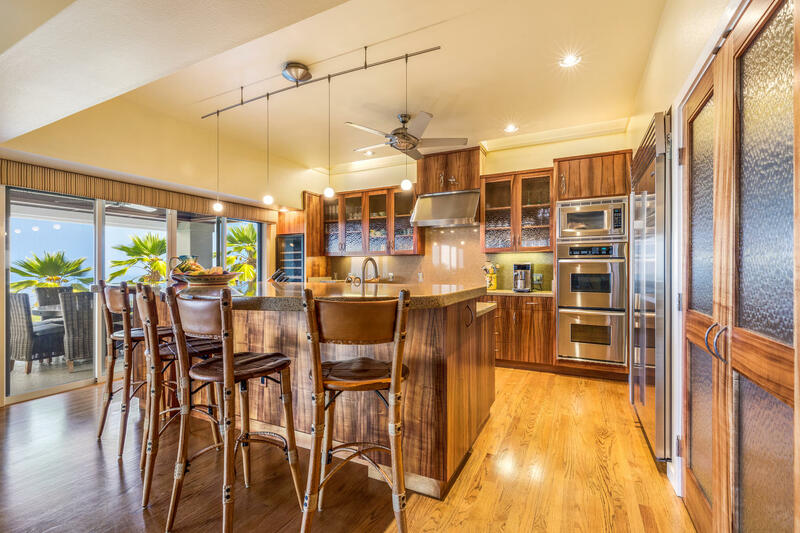 Your location is in the heart of the Keauhou resort area, one mile from the Keauhou Shopping Center, where you can pick up dinner party groceries... or take your pick of restaurants when you prefer not to cook. 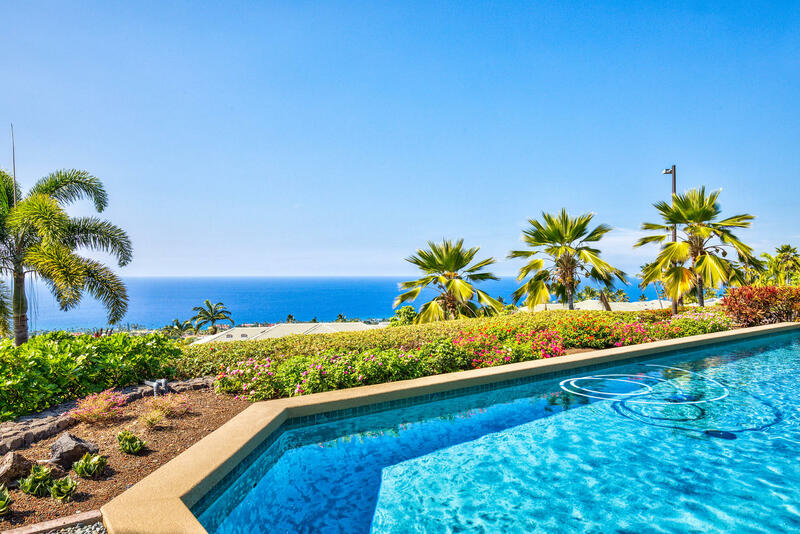 Drive less than two miles to Kahalu'u Beach, where gentle surf and an extensive tropical reef system that make it the perfect spot for snorkeling. 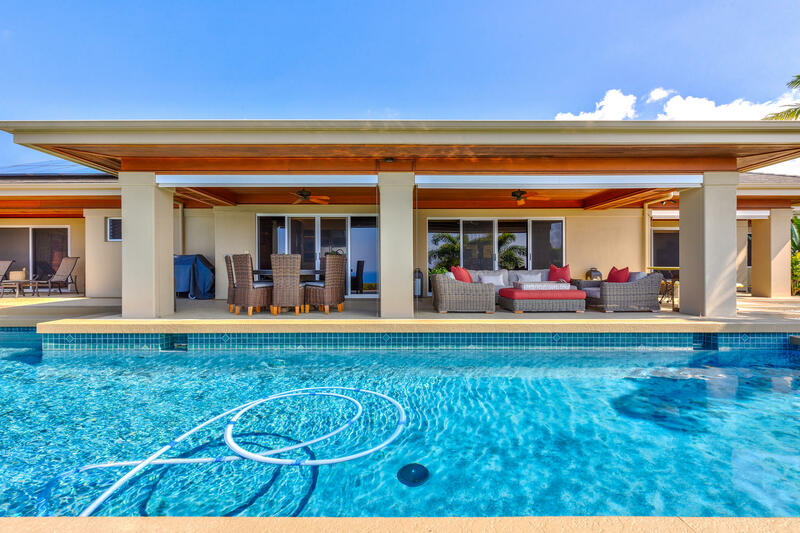 Monthly rentals only per complex rules. 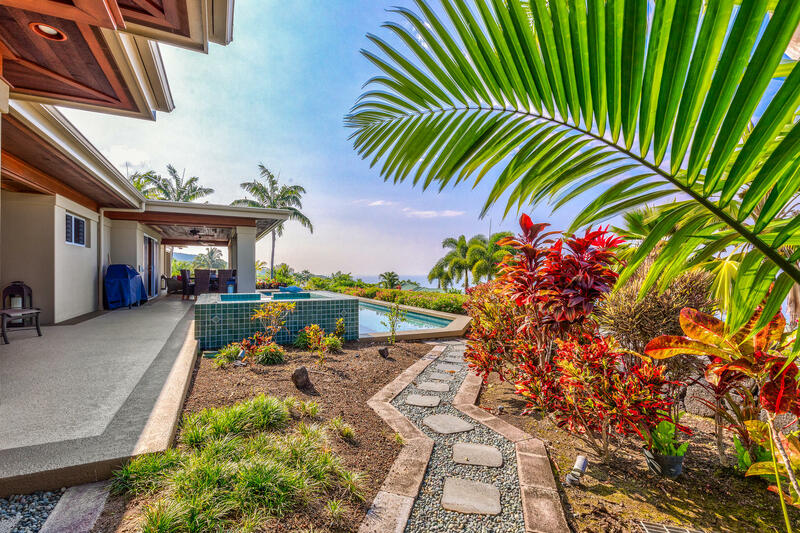 This home is absolutely perfect. 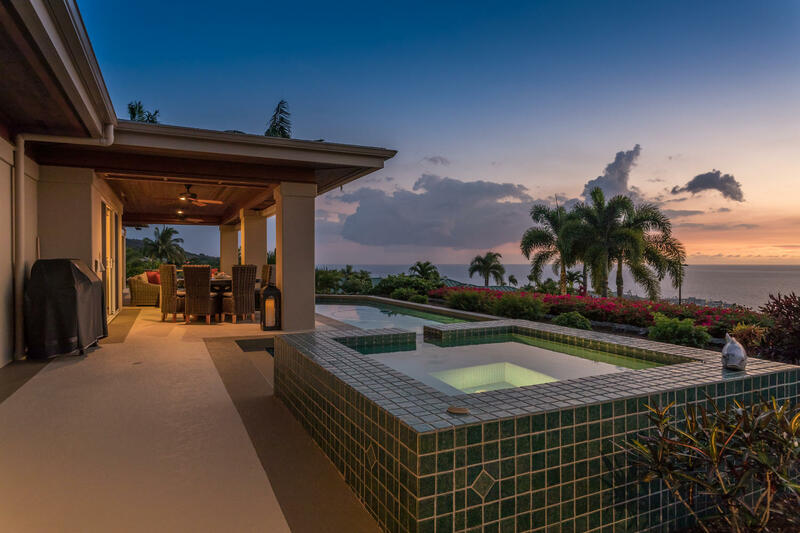 The views are spectacular, very comfortable and a great place to relax. 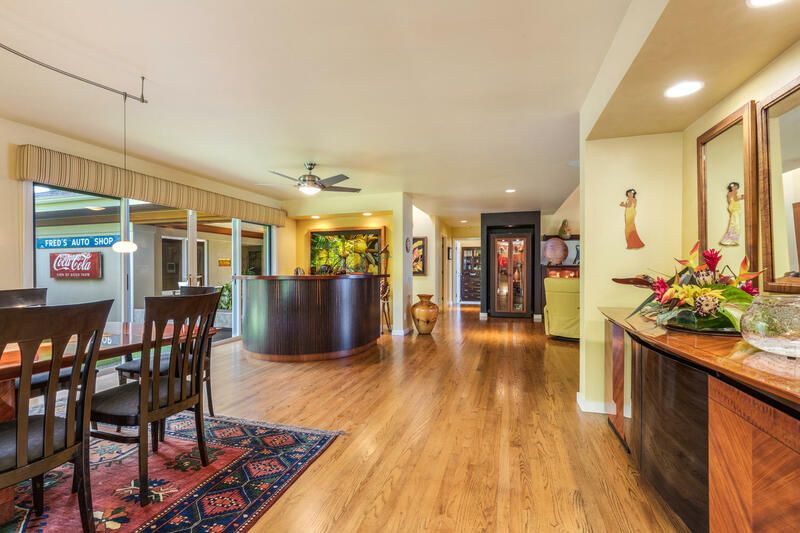 Adriana welcoming us and introducing us to the property,to the care and detail provided by the home owners, everything has been thought of and provided. 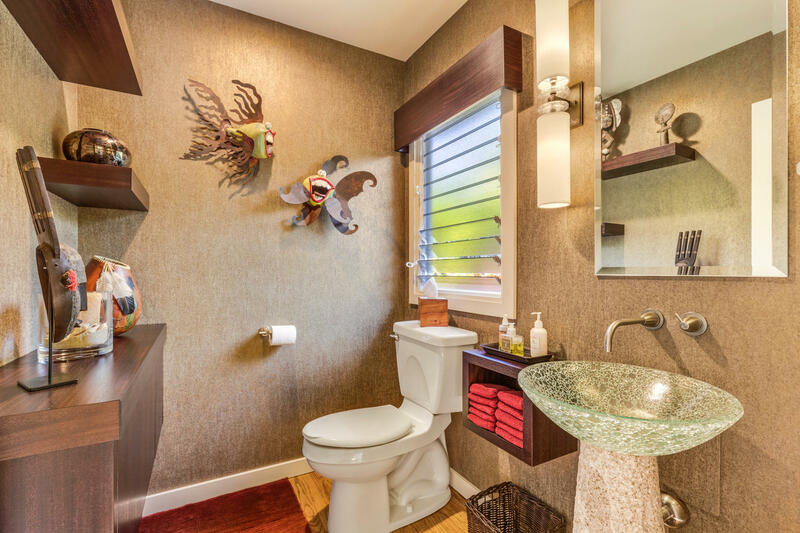 This is luxury in a private setting. 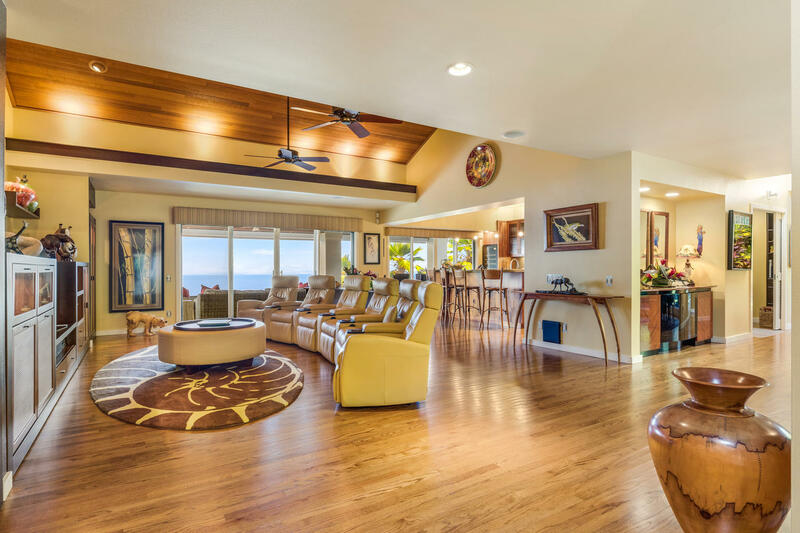 We made many memories here. 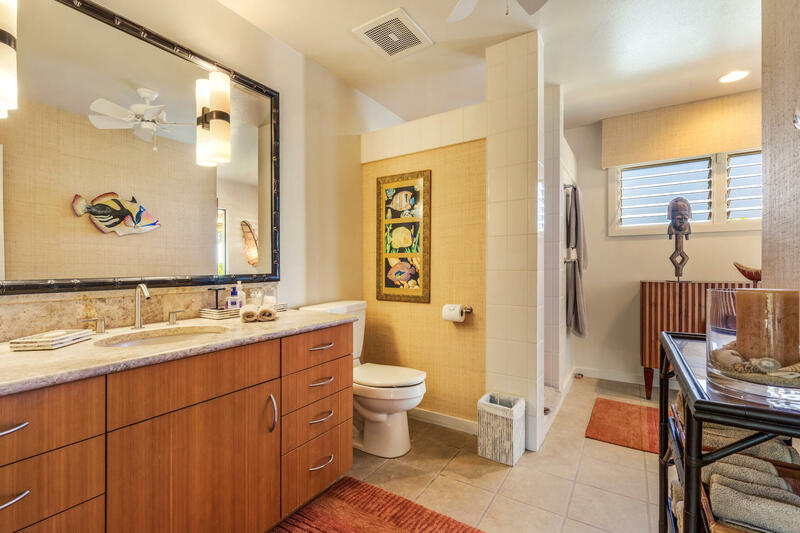 It was easy and pleasant working with LUVA and Adriana. 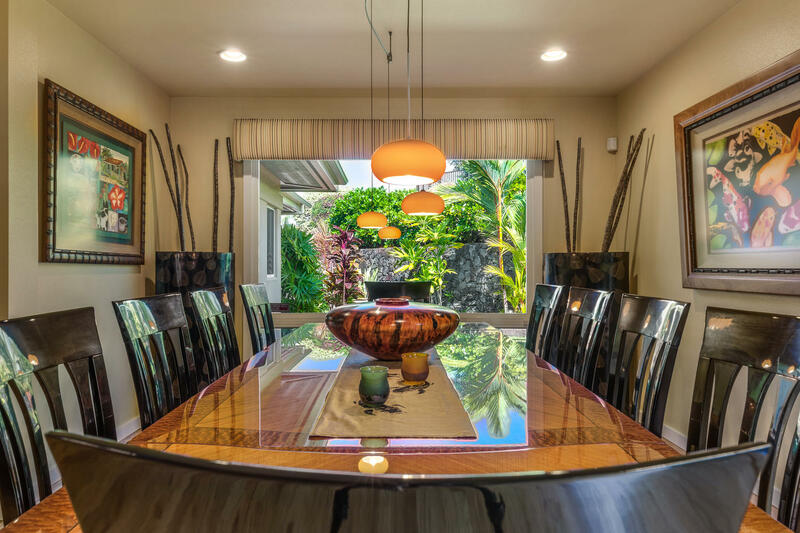 Best in class client service. 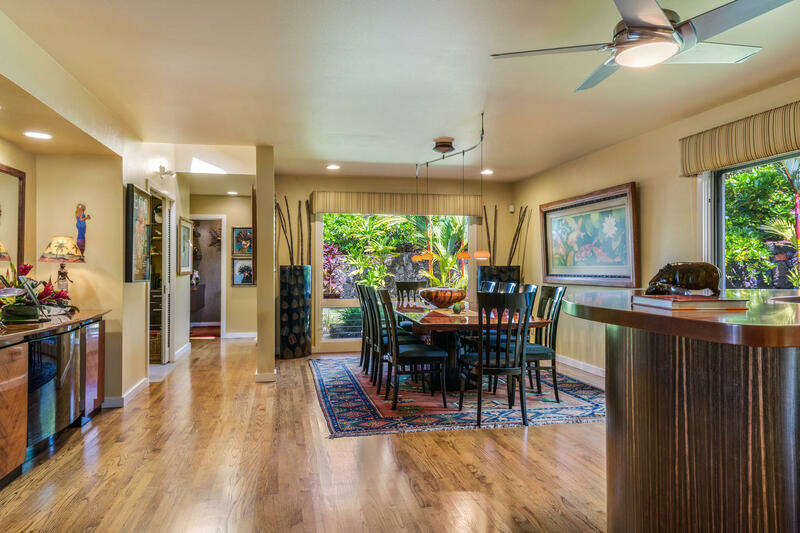 A very well equipped home with all the amenities and is close to many activities. 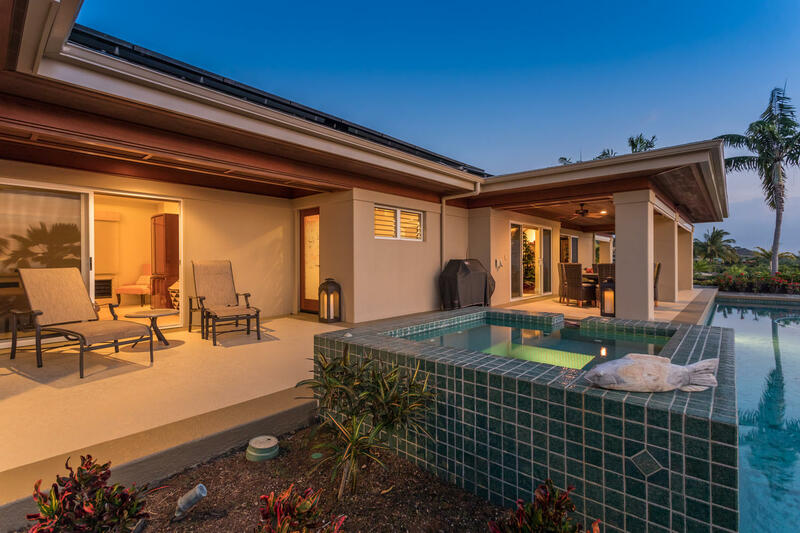 The dual master set up of the house makes it very convenient for two families to enjoy separate but with common is on the south side of the airport so if you are going to the northern side, it will be atleast an hour long drive. 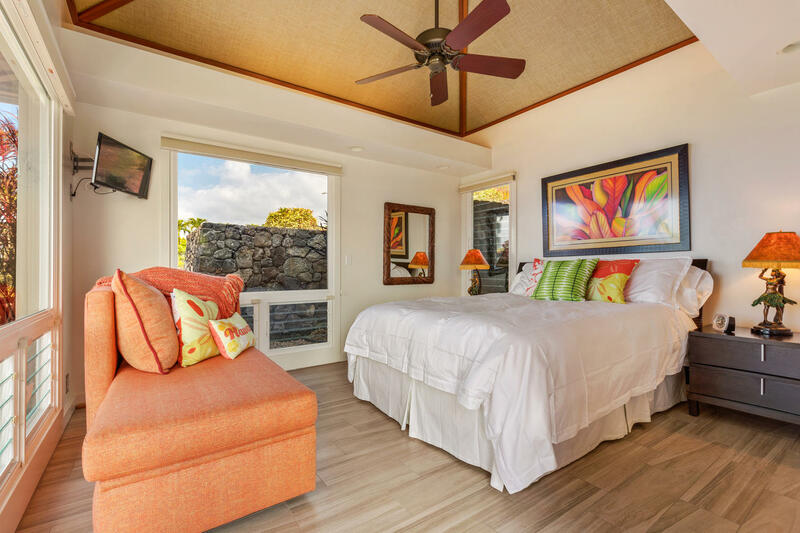 Very close to the coffee plantation, tours, and shorter distance to the volcanoes.